Isagenix Snack Recipes - Delicious, Healthy Treats! Great for breakfast or an afternoon snack, these protein-packed muffins taste great and are perfect any time of day. Begin by preheating the oven to 175 degrees Celsius. While the oven is heating up, add all of the ingredients into a large bowl and mix until they are well combined. When mixed thoroughly, pour the batter into a greased muffin tin. Sprinkle some granola and sliced apple pieces on top of each for the perfect finishing touch. Bake for 20 minutes and voila. 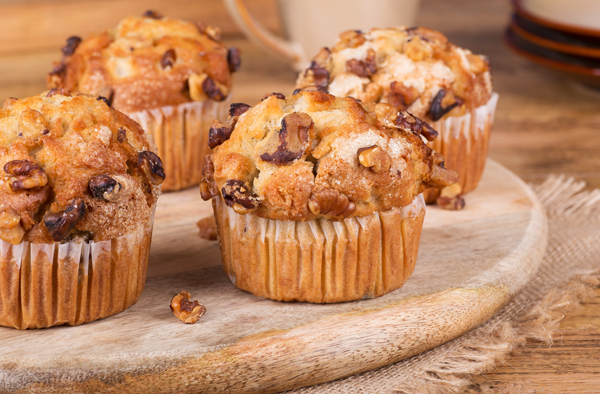 You now have a batch of delicious, protein-packed breakfast or snack muffins to enjoy any time you want. Nothing goes better together than peanut butter and chocolate. But, if you throw in a banana, you can take this classic combo to another level. Don’t believe me? Give these Peanut Butter and Banana Delights a try! Then, put a dollop of peanut butter in between two slices to create a banana and peanut butter sandwich. Repeat the process to make as many as you want. When finished, place them on a pan lined with parchment paper and place in the freezer for one hour. 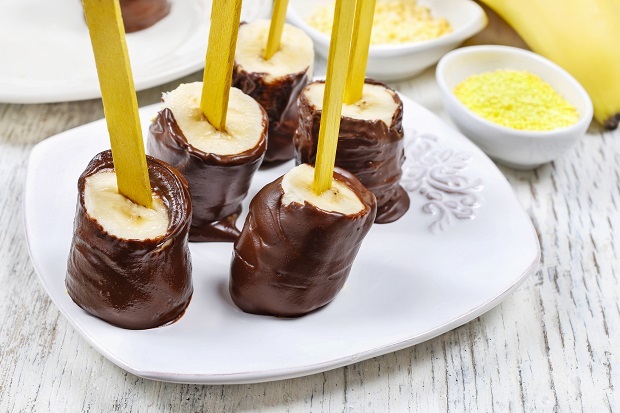 After they’ve frozen, melt the IsaDelights and drop each banana bite into the melted chocolate to completely cover. Lastly, place them back in the freezer for two to three hours and enjoy these tasty guilt-free snacks! Thanks to the addition of Strawberry Cream IsaLean Shakes to the Isagenix UK product lineup, there are more Isagenix recipe possibilities than ever before. These Strawberry Coconut bars are out of this world and easy to make as a snack or for any occasion. Add the shredded coconut, maple syrup, coconut oil, and vanilla extract in your blender or IsaBlender and blend quickly until it’s well combined and achieves a butter-like consistency. Then, transfer the mixture to a bowl, add the Strawberry Cream IsaLean Shake powder, and mix. Next, separate the mixture into small bars, place each on a pan lined in baking paper, and refrigerate for about 30 minutes. Meanwhile, boil some water in a saucepan, place the IsaDelights in a bowl, and hold the bowl over the simmering water to melt. After 30 minutes have passed, remove the refrigerated bars and dip each in the melted IsaDelights to cover. Finally, refrigerate the chocolate covered bars for another 30 minutes to set and dig in!